Donald Trump becomes the 45th President of the United States on Jan. 20, 2017. Here's how the day unfolded. 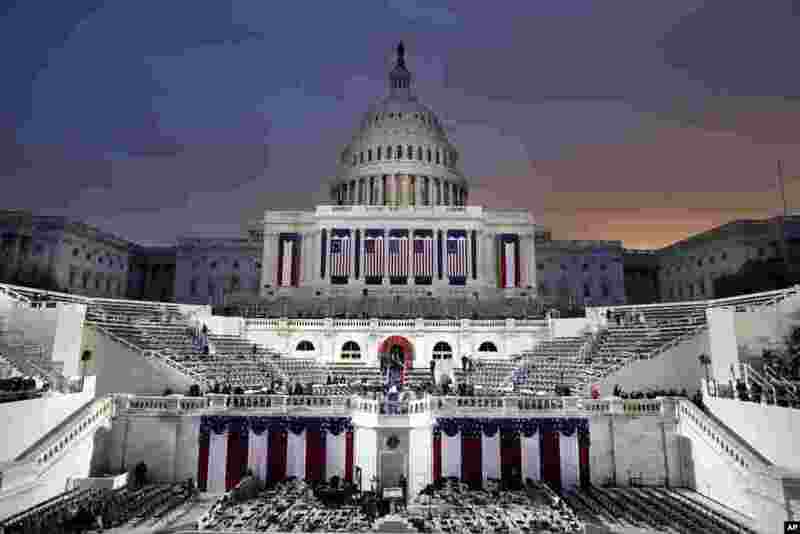 1 Dawn breaks behind the Capitol Dome as last minute preparations continue for swearing in of Donald Trump as the 45th President of the United States, Jan. 20, 2017. 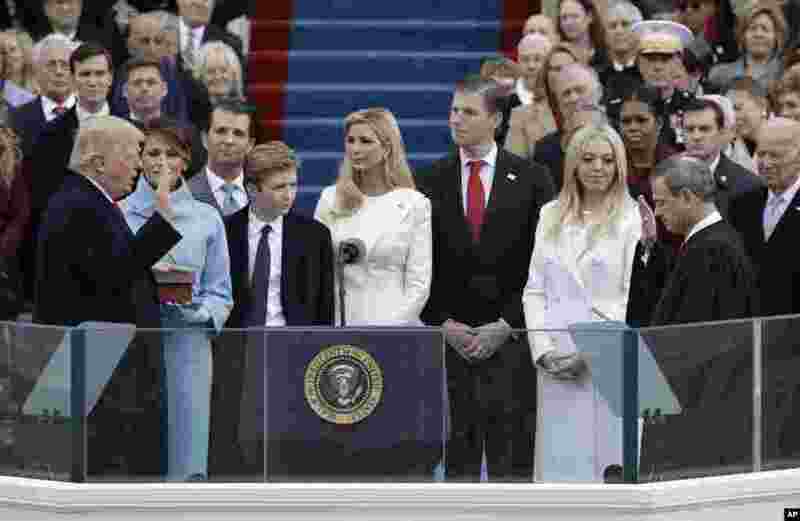 2 Donald Trump is sworn in as the 45th president of the United States by Chief Justice John Roberts as Melania Trump and his family looks on during the 58th Presidential Inauguration at the U.S. Capitol in Washington, Jan. 20, 2017. 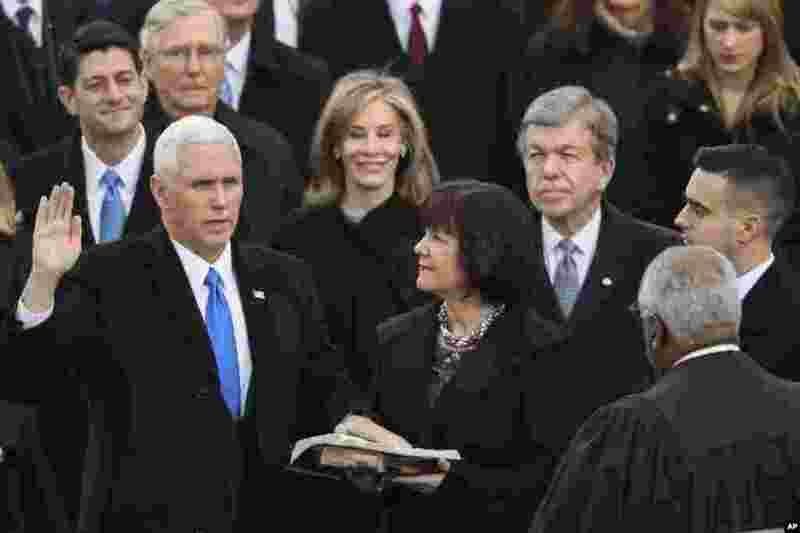 3 Vice President Mike Pence is sworn in by Justice Clarence Thomas as this wife Karen holds the bible during the 58th Presidential Inauguration at the U.S. Capitol in Washington, Jan. 20, 2017. 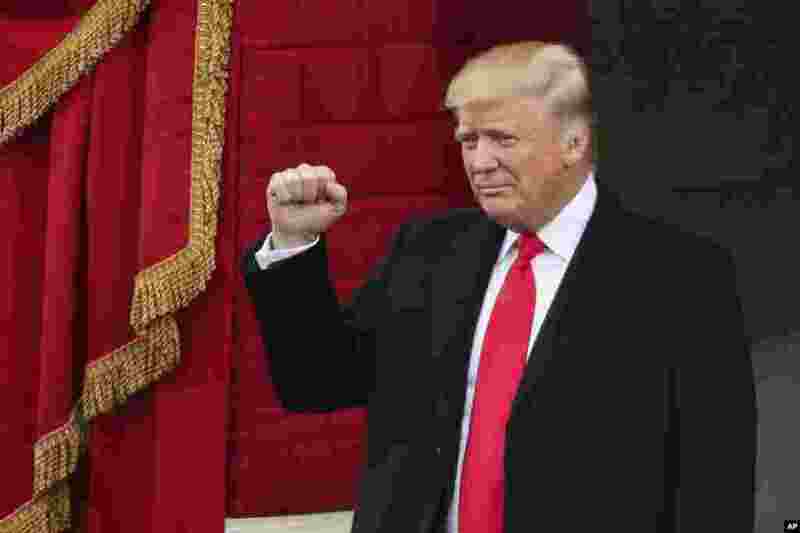 4 President-elect Donald Trump pumps his fist as he arrives during the 58th Presidential Inauguration at the U.S. Capitol in Washington, Jan. 20, 2017.